Isn’t it funny how sometimes just what you need — even if you don’t know exactly what it is that you need — sometimes finds its way straight to your doorstep? In this case, for me, it literally did arrive on my doorstep. A few days after Mumbles and I got back home from Virginia, I was feeling a bit out of sorts having quit my job to temporarily head to the east coast with him and Baxter. For the past four years, I’ve been completely absorbed in the spa/wellness/hospitality industry and when we came back home I was suddenly missing being around it all, talking about it, strategizing, writing, and working with industry leaders. From fresh, organic food, gardens and sustainability, fitness, spa treatments, and oh, the beauty products! I missed it all. Gah! The beauty products! (believe me, I wasn’t the only one this sad about losing my connection to awesome spa products. BFOTB was bummed as well, along with just about everyone on my Christmas list!). So, it’s funny that just when I was missing the best of all the perks from my career life for the past few years, a package appeared on my doorstep delivering just the happy dose of spa I needed! Yuzen (you-zen) is a monthly subscription service similar to Birchbox, if you’re familiar, that packages up a variety of wellness-related products and delivers them to your door. What might make Yuzen a better service is that the products are full-size lifestyle products including beauty, household, snacks, and some samples whereas Birchbox delivers just beauty samples–purposefully–so you can try new things on the cheap ($10/month) and discover products you like. I was lucky enough to receive a 3-month subscription to Yuzen as a farewell gift from some of my favorite coworkers at the spa and each month I dive into the box excited for what I’ll discover. The first month, I was beyond delighted to receive a full-size face moisturizer with spf from my favorite go-to daily organic sun care line, Coola, which is based in sunny San Diego. Pangea Organics — I love putting on face masks at home, especially the ones that are dark and very clearly show up on your face, practically begging you to slice up some cucumbers, wrap your hair in a towel, pull on a plushy robe and kick back for a while listening to Enya. This Japanese Matcha Tea with Acai & Goji Berry Facial Mask is that mask. Even if you don’t zone out to the Enya, you’re sure to ease up a bit and maybe even laugh once you have the greenish/black mask staring back at you in the mirror. Cowgirl ranch hand cream — I’m a sucker for cuticle products and hand creams so this hand salve was an interesting one for me. It’s a solid and smells great. You take the product in your hand to warm it up, then spread on hands, cuticles, and I even slathered it on my elbows, heels and knees. A great gift idea for gardeners and crafters who perhaps burn their hands with hot glue guns on a weekly basis. I also received what looked like a great cleanser, which I happily gave to BFOTB so she could enjoy the pleasures of spa products once again! You can find Cowgirl Skincare products on their website or at Dermstore.com. Calendula Comfrey Remedy Balm Stick — I learned about the wonderful benefits of calendula at a spa conference a few years ago but I haven’t really found any products that I’ve liked as much as I love this stick. I keep it in my purse and use it on everything – lips, cuticles, dry patches of skin, bug bites, scratches…everything. It goes on smooth and adds some shine to the lips without any stickiness, smells familiarly like the spa (maybe that’s just me), and is full of good-for-you stuff. It’s super easy to gift 1 month ($26, cancel any time) or 3 months ($78) of the Yuzen box to friends, family, yourself, or anyone you’d like to surprise with a thoughtful, fun package that’s a delight to receive. The box is packaged gorgeously with fine paper, ribbon and filling that you can keep in the box or transfer into a basket or another cute container. For more information, visit the Yuzen website. 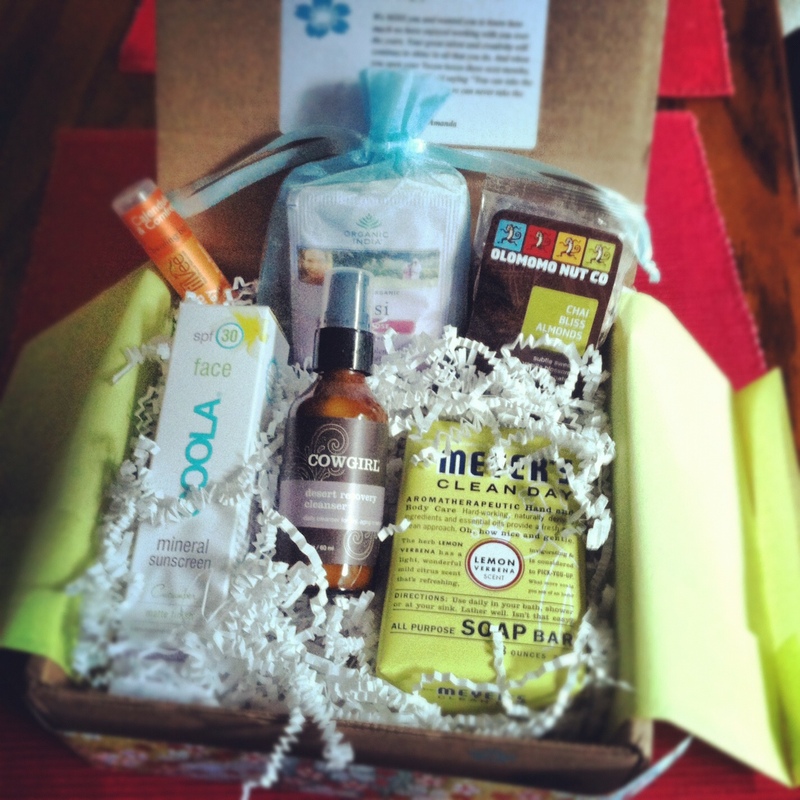 Do you receive a monthly product subscription that brings you joy? It’s wonderful to hear that Yuzen has brought you that little bit of happiness just when you needed a boost! 🙂 The Cowgirl hand salve is amazing – I’m just a little obsessed with solid lotions & creams after that. The flower is just too pretty to rub away though! It’s wonderful to hear that Yuzen has brought you that little bit of happiness just when you needed a boost! 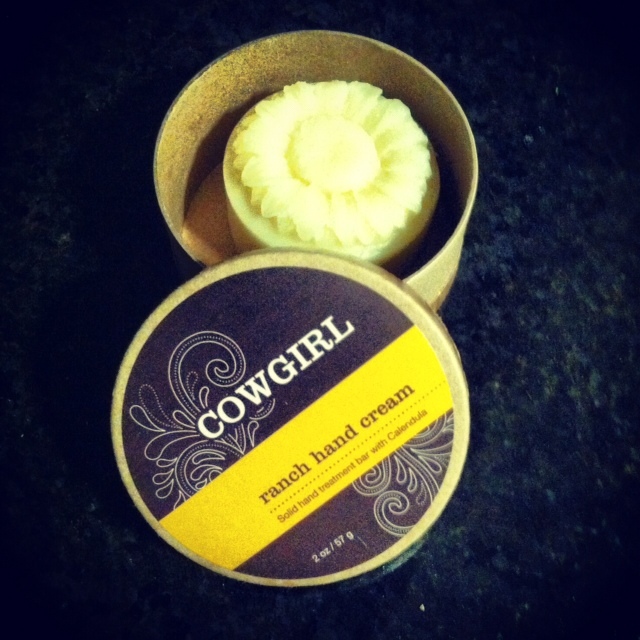 The Cowgirl hand salve is amazing – I’m just a little obsessed with solid lotions & creams after that. The flower is just too pretty to rub away though!